The days are shorter and the air is growing crisp. Leaves once green and lush are starting to turn fiery yellow, orange, and red. 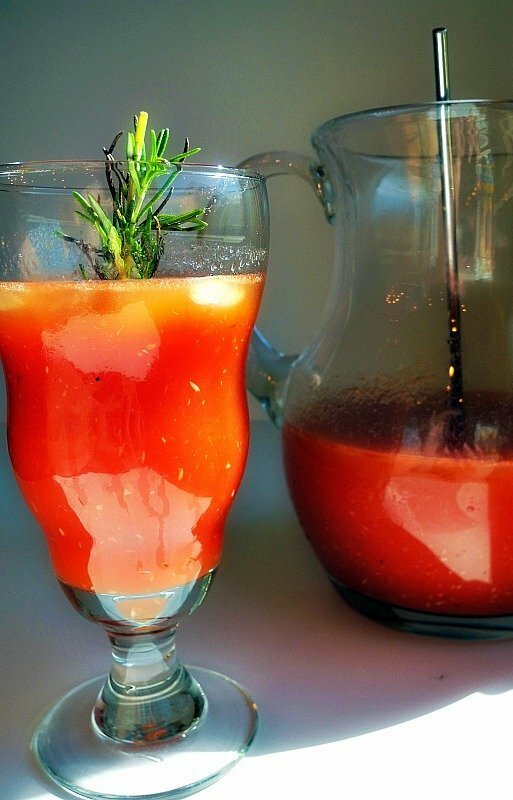 Give homage to the colors of fall with a Zesty Bloody Mary Cocktail the color of crimson, made with Girard’s Olde Venice Italian dressing or Blue Cheese Vinaigrette. Fill a large pitcher with about 2 cups of crushed ice. 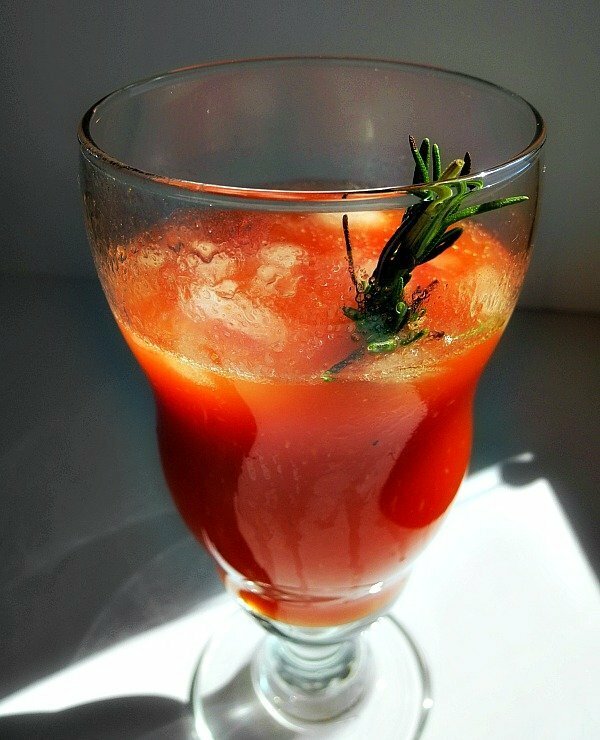 Pour in the tomato juice, then add the vodka, Italian dressing, and Worcestershire sauce. I know it seems odd to add salad dressing to a cocktail, but if you think about it, all the spices and seasonings you need for an awesome Bloody Mary are all packed into these lovely gold and black Girard’s dressing bottles! Mix the ingredients well. Add the horseradish and lime juice and mix again. 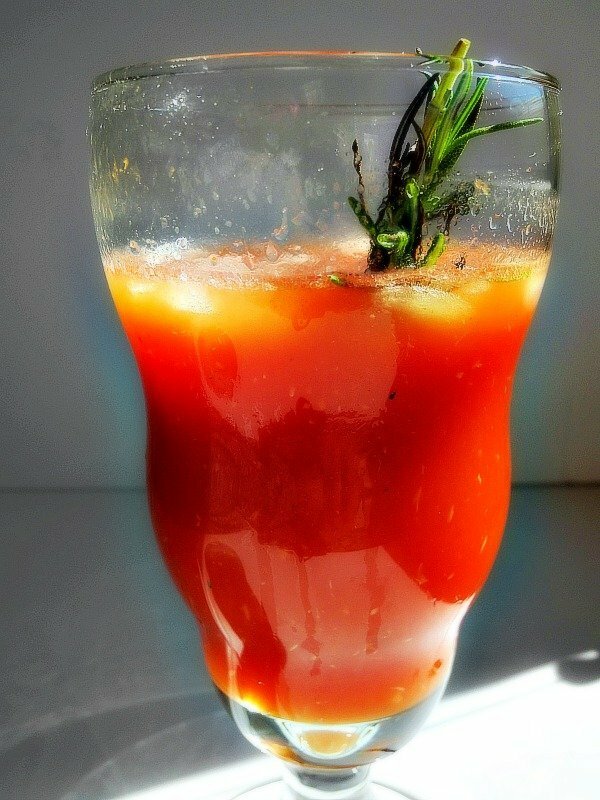 Pour into a tall glass and garnish with olives, celery stalk, or fresh rosemary twig. 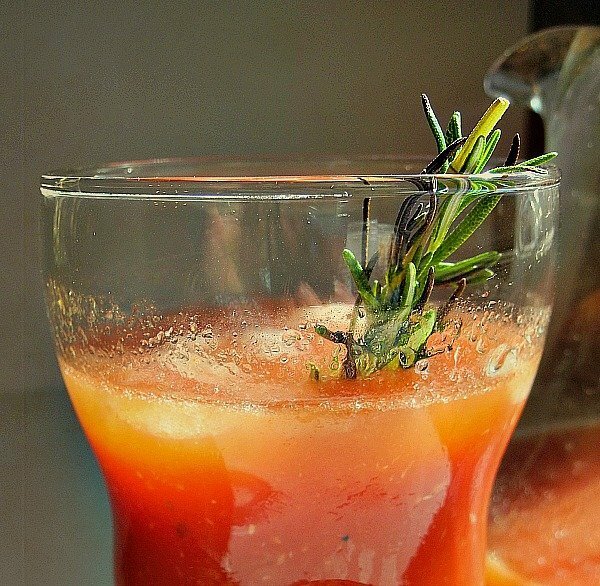 *For a Bloody Mary with even more unique flavor, mix in 2 tablespoons of Girard’s Blue Cheese Vinaigrette instead of the Old Venice Italian–it gives the Bloody Mary a blast of flavor!